The Swedish Transport Administration invited Helle Søholt, Gehl Architiects, to contribute as Key Note speaker and to take part in the panel discussion at the seminar Think Future, Strategies for the transport-system of tomorrow, in Stockholm on the 8th of November. The Swedish Transport Minister Catharina Elmsäter- Svärd opened the seminar, but with no references to the importance of urban areas, cities, towns and villages not to say the people using daily transport systems. This was indeed the focus of Helle’s contribution to the future thinking of transport. The need to address a micro level of planning and not just the traditional macro level. The micro level where we understand the behavior of people and make transport networks that multiplies choice and quality of life for the individual. Cities that are walkable, bikeable and have a well developed public transport system are both more sustainable and much more lively and safe as a consequence of the people moving at eyelevel in the streets. The Seminar aimed at providing an arena for dialogue on issues of strategic and long-term importance related to the further use and development of the Swedish transport system. One of several important policy tools to promote sustainable economic growth, at a time when global structural change of demography, economy and trade increases. The necessity of serious considerations to energy and climate change constraints where considered in the seminar. Trafikverket is a new administration, comprising all modes of transport, and with the brave ambition of gaining a wider identity as not only contributing to the building of the society but a pro-active ”society developer”. As the first national authority merging transport silos, we hope at Gehl Architects to see a more integrated thinking and approach also to city building and the need of people. The discussions at the seminar were to serve as strategic input to the national transport policy-making process and influence future strategies and action plans in the National Assembly, the Ministries and the Administrations. We are looking forward to see the results of integrated thinking in transport solutions contributing to improve cities for people in Sweden. 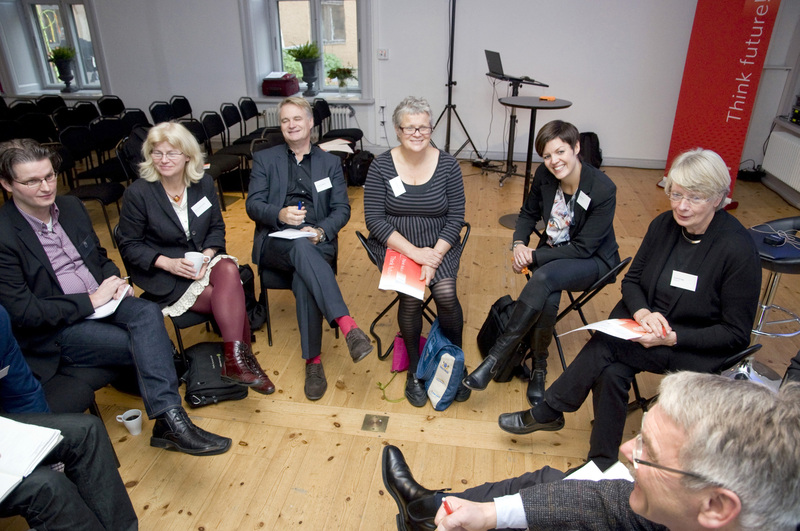 Thanks to an unusual fun day of transport discussions in Stockholm on old and new paradigms. 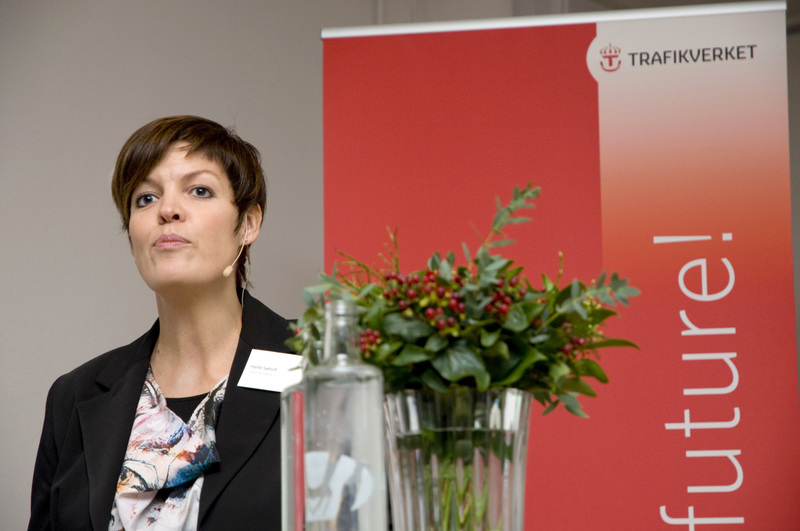 Helle Søholt was Key Note speaker at Think Future, Strategies for the transport-system of tomorrow, in Stockholm. The following panel discussion at the seminar.